Unusual cheap wedding favor ideas will work with any type of wedding you are holding, favors are your way of saying thank you to your guests and are a great way to add your personal touch to your celebrations. The age old arguement about wedding favors when you are planning your wedding is that they are often left behind, which is a waste of money. You need to find favors that you know your guests will love and that doesn't mean you have to spend a fortune. Something that most of your guests will want to hold on to is a drinks voucher for the bar during your reception. Print off vouchers at home with your own personal message, Mr and Mrs Smith want to buy you a drink, or Cheers! You may want to limit the drinks to beer, wine or soft drinks. This is a great way to keep your bar costs down at the wedding and will also be an obvious thank you to your guests. Chocolate is always a great wedding favor but mini personalized chocolate bars will cost you, unless you do them yourself. Print off your own labels with your own message and buy your chocolates wholesale or when you see a bargain. 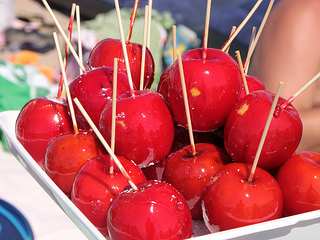 If your wedding is in the fall and you want to avoid the more obvious leaves and pumpkins then a toffee apple is a very yummy favor. You can buy them already made or if you have the time then make them yourself with your own flavors of toffee. You will have to make the toffee apples close to the day, 4 days maximum before of they won't keep. If you love cooking why not share your favorite recipes with your guests, you could even ask your guests to share some of their famous recipes. 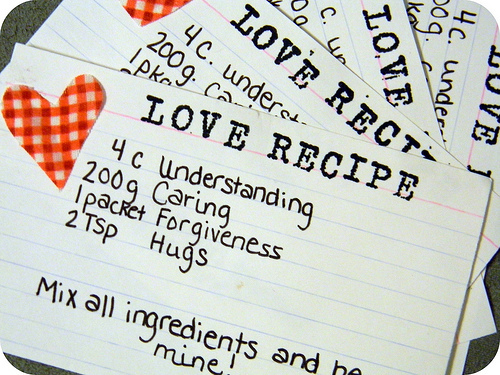 It doesn't need to be a big book, four recipe cards tied together with a ribbon that matches your theme would be perfect. You could even make up different books for the men, women and children to enjoy. Add photographs from when you have cooked and enjoyed the dishes. If you have extra time to prepare the favors you could add a piece of the famous cake or chocolate truffel with the recipe book for a complete yummy favor. Children's recipe books should have fun recipes that they could try theselves; gingerbread men, chocolate krispy cakes, flapjack, fairy cakes. If your budget allows you could tie a cookie cutter to the book. Look out for sets of cookie cutters in bargain shops that you could use. Recipe books for the ladies could be of yummy chocolate cakes and secret recipes that have been carefully guarded by family members until now! Recipe books for men could be full of great recipes for them to surprise and impress the love of their life or you could have a jokey recipe book on how to boil an egg - it depends on the men!